It is also available on YouTube, On Demand and Sky GO. 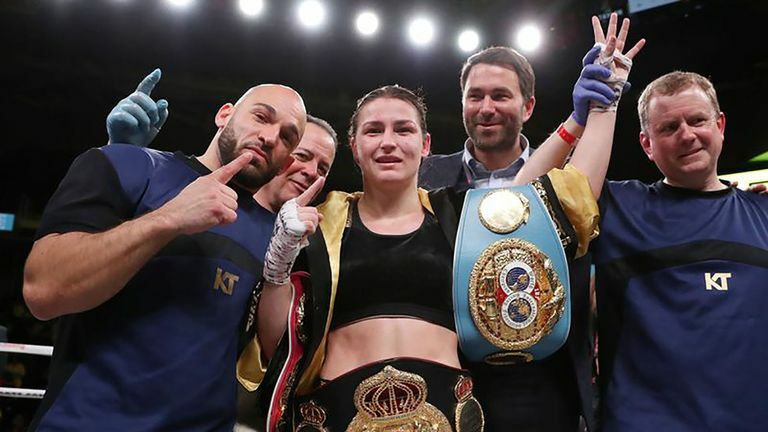 · Katie Taylor - confirms she is looking to fight Delfine Persoon on the Anthony Joshua-Jarrell Miller bill. · Joshua Buatsi - believes he has the boxing style and skills to beat British rival Anthony Yarde. · Lawrence Okolie - looks ahead to his fight with Wadi Camacho and addresses that Dillian Whyte tweet. · Kell Brook - expects to fight on the Joshua-Miller undercard and wants to face Errol Spence Jr again. · US round-up - Michelle Joy Phelps talks to Deontay Wilder about Tyson Fury and rejecting a lucrative deal.